Cooper was born in Detroit Michigan, and moved to Phoenix with his family. The Alice Cooper band formed while they were all in high school in Phoenix, and was discovered in 1969 by Frank Zappa in Los Angeles, where he signed them to his record label. Their collaboration with young record producer Bob Ezrin led to the break-through third album Love It to Death which hit the charts in 1971, followed by “Killer,” “School’s Out,” ”Billion Dollar Babies,” and “Muscle of Love.” Each new album release was accompanied by a bigger and more elaborate touring stage show. 1974 saw the release of a Greatest Hits album, and then Cooper, in 1975, released his first solo album, Welcome to My Nightmare in 1975, accompanied by the legendary groundbreaking theatrical Welcome to My Nightmare concert tour. Alice’s solo career skyrocketed in the late 1970′s, with a succession of hit singles, including “You & Me,” and classic albums, including “Lace And Whiskey” and “From The Inside,” and bigger and even more elaborate concert tours. Cooper’s most memorable movie appearance was as himself in Wayne’s World in 1991. He also played (fittingly) Freddy Krueger’s wicked step-father in Freddy’s Dead: The Final Nightmare, and appeared on Gene Wilder’s TV series Something Wilder as well as on That ‘70’s Show. The 90’s also saw the release of the albums Hey Stoopid, The Last Temptation, and Fistful of Alice, a live album. 1999 saw the release of the definitive historical 4 CD box set The Life & Crimes of Alice Cooper, from Rhino/Warners. 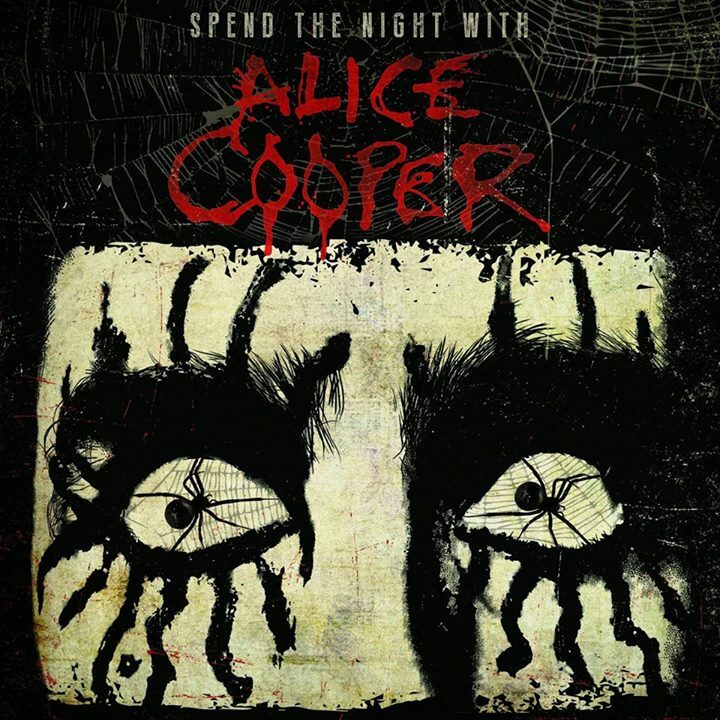 In the new millenium, Cooper has been very productive and busy, writing, recording and releasing the albums Brutal Planet, Dragon Town, The Eyes of Alice Cooper, Dirty Diamonds, Along Came a Spider, and 2011′s Welcome 2 My Nightmare, plus Old School 1964-1974, a box set celebrating the original band. He also wrote and published a memoir, Golf Monster, in 2007, which tracked his life from childhood to rock stardom, and his journey from alcoholic to golf addict, and was = featured in the Tim Burton film Dark Shadows in 2012.